Burnley based company KeyPlus Security has been awarded a major contract to provide security services to Lancashire County Council. The 4-year agreement will see the company providing security services for several hundred sites owned/managed by the council including schools, academies, and premises of local significance. Founded in 2008, KeyPlus have become a trusted name across the North West, providing security to a range of public and private sector organisations. Their mission to deliver accredited, professional and reliable security services including Key Holding, Alarm Response and Mobile Patrols has been met with great demand. 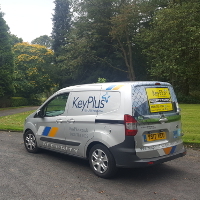 To find out more about KeyPlus and the services they provide, call 0800 783 1025 or visit the KeyPlus Security Website.